•Stronger and tougher than most softwood plywood, thanks to the tens of thousands of real wood strands that go into every board. 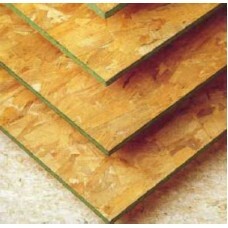 •Cut waste with precision engineered panels. Each pack contains uniform, high quality boards, with no knots, voids or delaminating problems. •Make the job easier with a panel that’s simple to saw, drill, nail, plane, file or sand. Nails can be driven as close as 8mm from the panel edge without splitting. •Get the finish you’re after with panels that can be sanded or un-sanded and finished with most popular surface treatments, for industrial or decorative uses.